Insulin 100IU is a transport hormone that is formed in the cells of the endocrine pancreas. The task of this peptide is to reduce the level of sugar in the blood, that is, to significantly reduce the concentration of glucose. Insulin 100 IU is widely used in bodybuilding, and this is not accidental. This peptide gives a powerful anabolic effect. In addition, insulin is an anti-catabolic drug, because it activates the enzyme glycolysis and stimulates the formation of glycogen in the body of their glucose, enhancing protein and fat synthesis. It is also important that insulin has the ability to suppress the activity of enzymes that break down fats and glycogens. 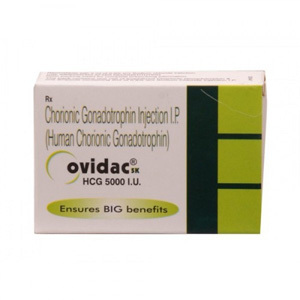 The above properties of this peptide make it clear why it is an anti-catabolic drug. As it is known, insulin helps to absorb as many amino acids as possible into muscle cells. Valine and leucine are best absorbed, they are independent amino acids. The same hormone renews DNA, transport of magnesium, potassium phosphate and protein biosynthesis. With the help of insulin, the synthesis of fatty acids, which are absorbed into the fatty tissue and liver, is enhanced. With the lack of insulin in the blood, fat is mobilized. The transport hormone inhibits the split protein molecules, which are composed of amino acids, and also reduces the process of splitting fats and reduces their flow into the blood. Insulin 100IU enhances the absorption of glucose by muscle cells, as well as activates some glycolysis enzymes. 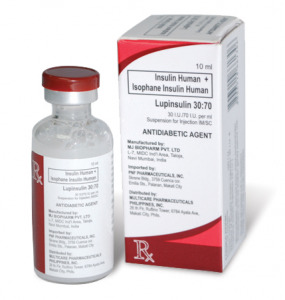 Insulin has the property to intensively synthesize glycogen and other substances in the muscles, as well as significantly reduce gluconeogenesis, that is, the formation of glucose in the liver. Bodybuilding uses only short-acting or ultrashort Insulin 100IU. Short-acting insulin works as follows: after subcutaneous injection (injection), it takes half an hour to work. It is necessary to inject insulin half an hour before taking a meal. The maximum effect of insulin reaches after 120 minutes after its introduction, and completely stops its transport work in the body after 6 hours.